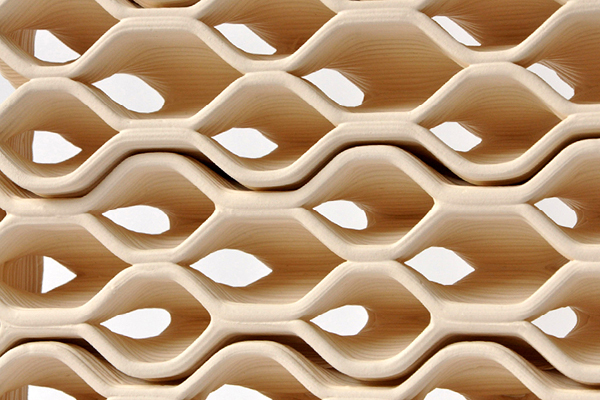 Building Bytes combines a traditional building material (ceramics) with a new fabrication technique (3D printing) to re-think an ancient building component (bricks). Brick fabrication has undergone several transformations throughout history, however it has consistently relied on a system of molds or extrusions that produce the same shape hundreds, or thousands, of times. At Building Bytes, we are not relying on molds, but 3D printing each brick individually, allowing us to fabricate complex forms within which each brick can be unique. While the fabrication method is innovative, the assembly method is still traditional - mortar bonds the bricks together. This body of work started during a ceramics residency in the Netherlands in 2012 with small scale prototypes and several proofs of concept. It now exists as a thriving practice with several full scale works completed and more in progress. Brian Peters is a designer, fabricator, and educator based in Pittsburgh, Pennsylvania. Brian received his Master’s of Architecture from the University of Illinois at Chicago, and has taught and practiced architecture around world, including Chicago, Barcelona, Amsterdam, and Pittsburgh, PA.
Brian’s passion lies at the intersection of architecture, design and fabrication, and his focus is on 3D printing’s ability to seamlessly integrate these interests. His research in this field is widely publicized and has received several prestigious awards.